From high towing capabilities to powerful engine options, the 2018 Ram 2500 is the heavy-duty pickup truck of your dreams! 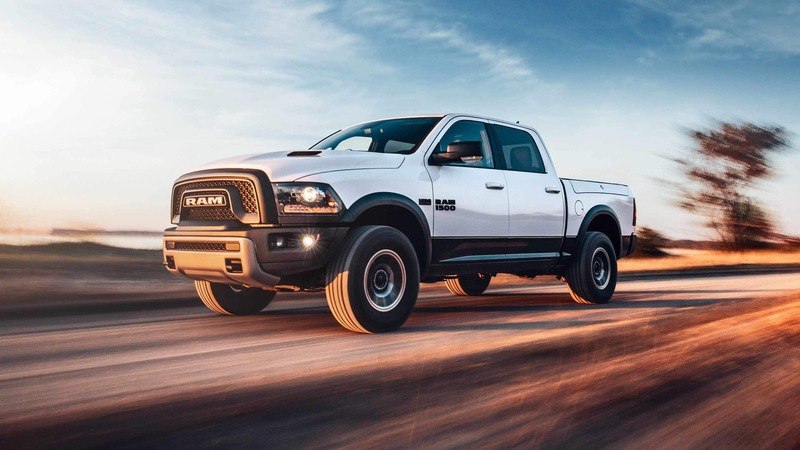 Ram has always provided the most reliable and durable trucks, not to mention the fact that their trucks are the longest-lasting. If that isn't enough to get you excited, then the eight trim levels should be persuasive enough, and the three different cab configurations should really get your head spinning. New additions to the 2018 model year include Sirius Guardian (which gives you Send and Go, Remote services, Vehicle Finder, Assist, and SOS), a Limited Tungsten edition, Fleet Telematics Module, a standard backup camera on every model, and 8.4-inch radios with 4G LTE. For more information about this stand out heavy-duty truck, read on! What are the engine options for the Ram 2500? The engine is the most vital part of a pickup truck, especially when it comes to the heavy-duty segment. The Ram 2500 features three engine options. The first engine is the HEMI 5.7-liter V8 that can create 400 pound-feet of torque and 383 horsepower. This engine also features VVT, otherwise known as variable-valve timing, which allows for a better performance, and greater efficiency. The second engine option is the HEMI 6.4-liter V8, which delivers 429 pound-feet of torque and 410 horsepower. This engine also has VVT but adds Fuel Saver Technology, which is added for cylinder deactivation. The final engine available is a High-Output Turbo Diesel 6.7-liter Cummins, which generates 385 horsepower and 900 pound-feet of torque. These engines will be sure to give you the power you need, especially when it comes to towing. 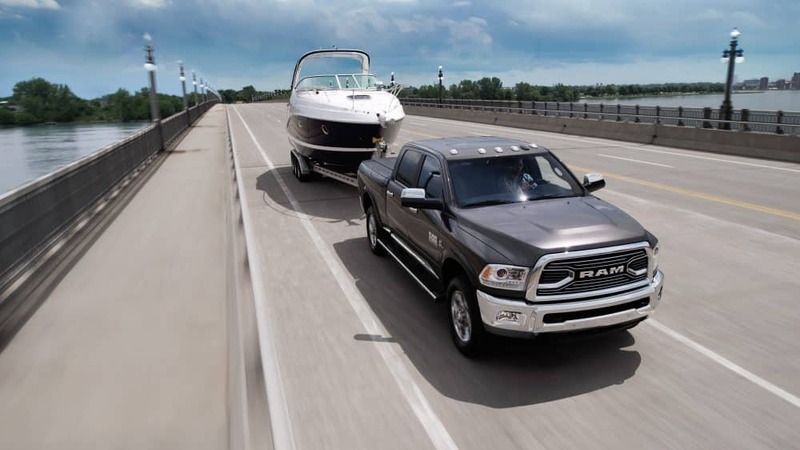 The Ram 2500 can tow up to 17,980 pounds. That is a lot of capability, and just further proves how instrumental this pickup truck can be in your life. 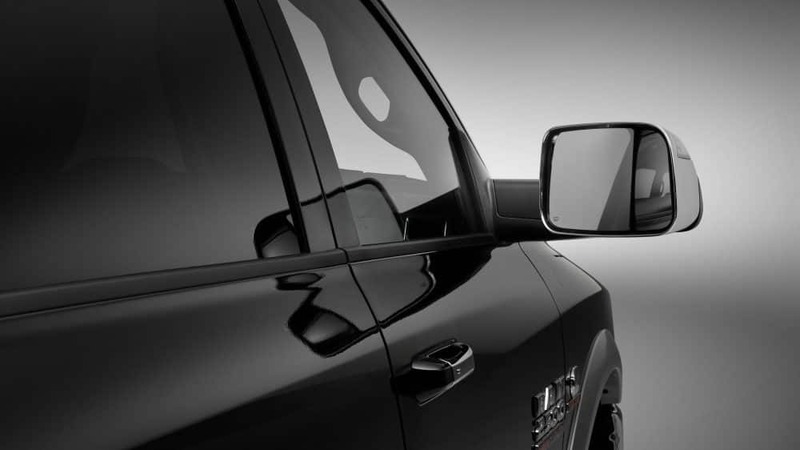 What safety features are offered with the Ram 2500? 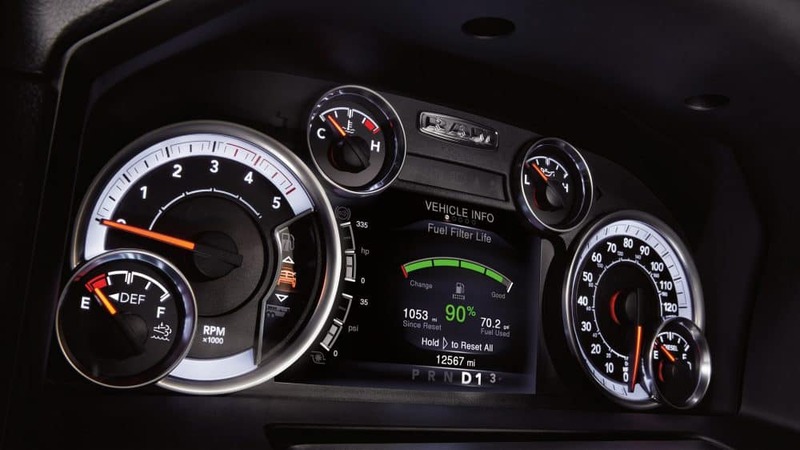 Standard safety features offered with the 2018 Ram 200 include front seat-mounted side airbags, side-curtain front airbags, advanced multistage front airbags, electronic stability control, Sentry Key theft deterrent system, and a tire pressure monitoring display. A few optional features include the ParkView rear backup camera, ParkSense front and rear park assist system, center high-mount stop lamp with cargo view camera, and a security alarm. 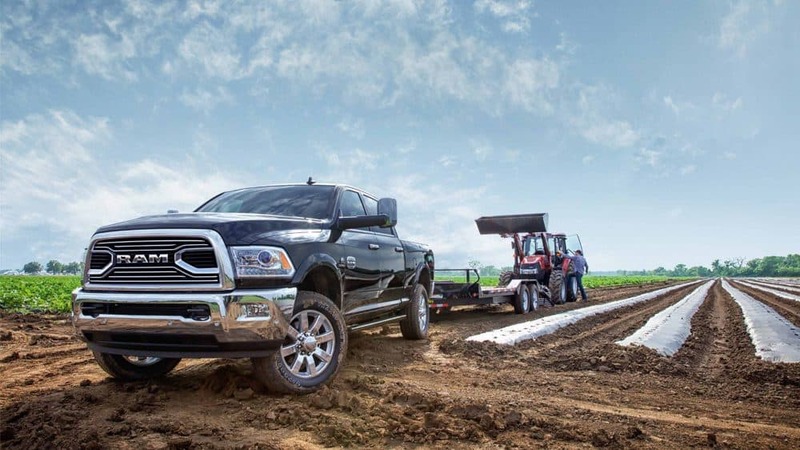 What are the model options offered with the Ram 2500? The Ram 2500 comes with eight unique model options. 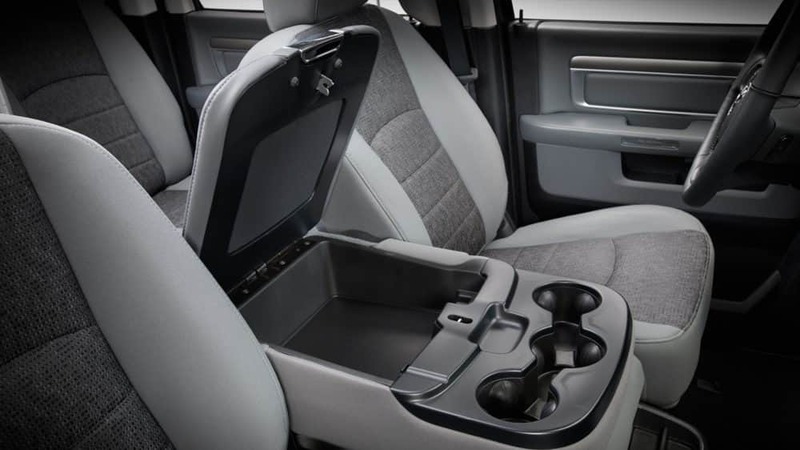 The standard features come with the base trim, the Tradesman. The features include vinyl flooring and upholstery, a locking tailgate, automatic headlights, a six-speaker stereo, an auxiliary audio input, black grille and bumpers, 17-inch steel wheels, a tilt-only steering wheel, and a USB port. 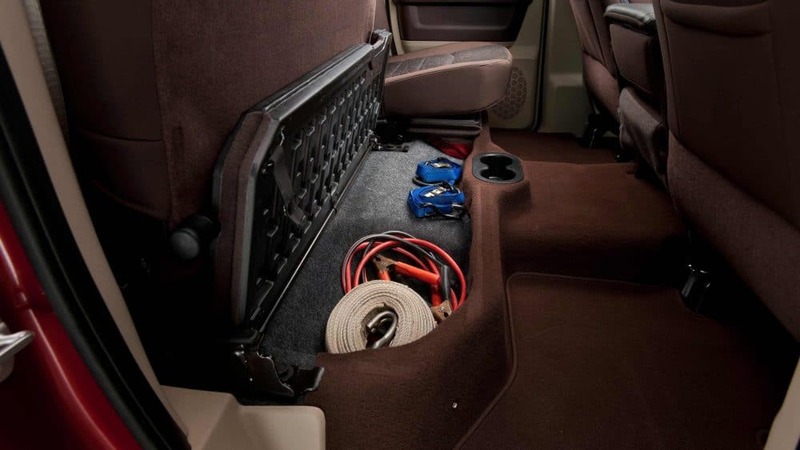 You can also add a cloth bench seat for no additional cost! One jump up from the Tradesman is the SLT, which gives you Bluetooth audio and phone connectivity, 18-inch steel wheels, a 5-inch touchscreen interface, power heated mirrors, satellite radio, a power-sliding rear window, an overhead console, carpeted floors, an integrated trailer brake controller, cloth upholstery, and keyless entry. A higher model level available is the Laramie. 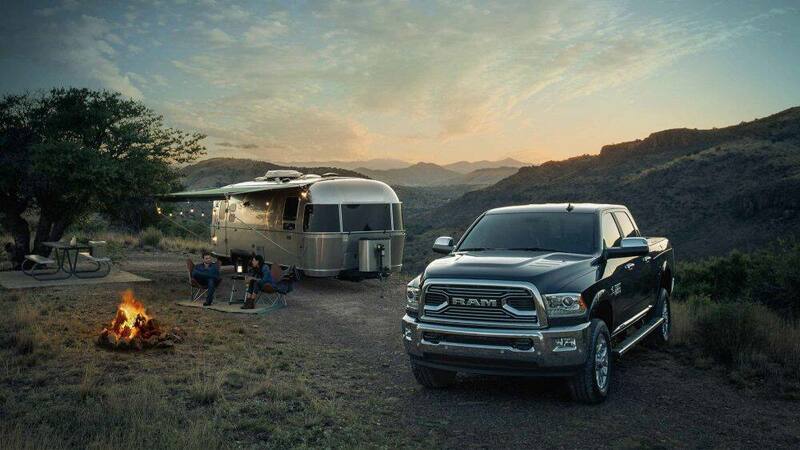 The Ram 2500 Laramie offers dual-zone automatic climate control, a heated steering wheel, projector headlights, heated and ventilated front bucket seats, a ten-speaker surround-sound audio system, driver-seat memory settings, leather upholstery, front and rear parking sensors, and chrome trim. There are many more models available, all of which give you a wide array of features that are sure to impress. You will also find three different cab options: Regular, Crew, and Mega. These cabs can come with an 8-ft or 6-ft 4-inch bed. The Ram 2500 is the heavy-duty pickup truck of your dreams. Whether you're towing a boat for a weekend away or hauling items for work,this truck will never let you down. 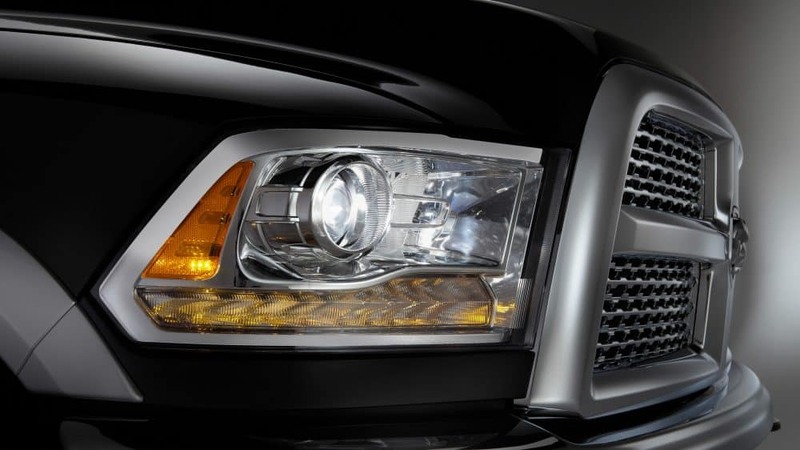 Ram is known for their long-lasting trucks, and we know this truck will live up to its predecessors. Call us today for more information!